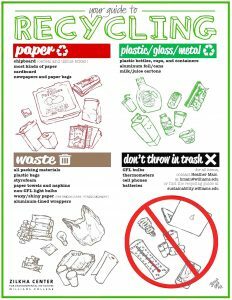 This comprehensive recycling guide is your go-to for handling waste on campus, for students, staff, and faculty! 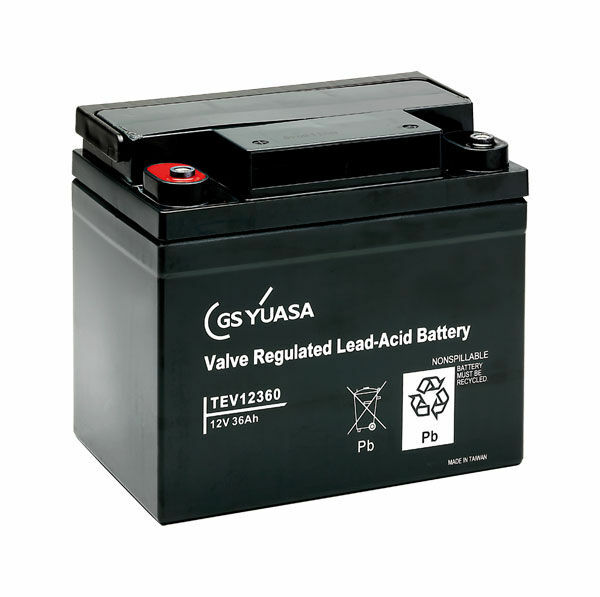 Don’t know if something can be recycled or not, or unsure of where you can dispose of certain types of batteries? Expand the category boxes on this page to find out. The left column includes the item and the right column explains if it is recyclable or not, and where to dispose of it. If you don’t see instructions for something you believe is recyclable, or if you have any other questions relating to this guide, please email the Zilkha Center to ask about it. *Flatten and stack cardboard next to recycling containers. Wet, waxed, and soiled cardboard cannot be recycled. Please put it in the trash. **Even those with grease, but please remove plastic and crust before recycling. *** Unwanted books can be donated through the end-of-year move-out donation program - Give It Up! Books can be recycled after tearing the hard covers off. Place these in the RED recycling containers marked "paper." Place in the small TAN containers labeled "Paper" (smaller than trash containers). 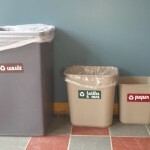 Put in the RED containers in rooms/common rooms designated for paper. When those fill up, bring to the trash/recycling room in your dorm, typically in the basement and place in appropriate containers. 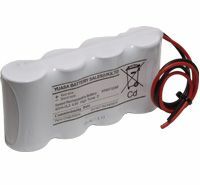 NOT fuel canisters - To properly store and dispose of camping fuel canisters, speak with Dave Ackerson at the WOC office (Pareksy 218). They cannot be kept in the dorms. NOT plastic sealed air inflatable packaging - They can be recycled in a plastic bag recycling in a store. The nearest one to campus is Stop N Shop. Other locations in the region are here. PLEASE NOTE THAT SOME BINS SAY "BOTTLES & CANS." Plastic, glass, and metal can go in these. 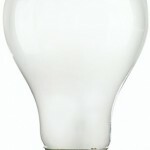 Place these in the GREEN containers marked "plastic glass cans." In classrooms: In the appropriately labeled small TAN container near the trash containers. Offices do not have containers for these items, so please take them to the nearest public recycling station in your building. 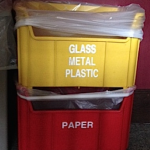 In dorms: Place in the YELLOW bins in your common rooms designated for plastic, glass and metal containers. 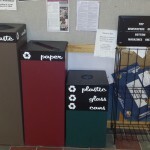 When those fill up, bring to the trash/recycling room in your dorm and place in appropriate containers. Waxed, wet, and soiled cardboard is not recyclable Flatten and stack next to recycling containers in public areas and dorm trash/recycling rooms in the basement. 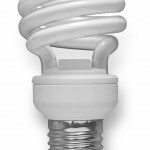 CFLs contain small amounts of mercury and are considered "universal waste." 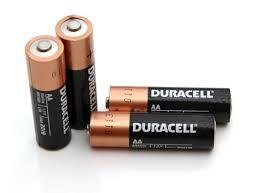 These cannot go in your trash can. Contact your custodian for proper disposal. Thermometers & Thermostats - For college-owned thermometers and thermostats, contact Heather Main in the Safety & Environmental Compliance office. If you are in the sciences, contact Norm Bell. Toner Cartridges - There are seven boxes in different areas on campus in which you can drop off your empty toner cartridge to be recycled. You can drop off cartridges from any College owned network or local printer. Click here for the list of box locations. Contact the OIT help desk with questions. Computers, Laptops, Monitors, Printers - For personal items only - students, staff, and faculty can dispose of these safely at a one-time end-of-the-year event called GreenUp. For college-owned equipment, contact the OIT helpdesk. Cell phones - Contact Nicole Pedercini in the Controllers Office. She has kindly offered to recycle unwanted phones along with the ones she recycles for her office. Remember to wipe the memory clean before getting rid of it. And if it is an iphone, disable the "Find my iphone" function. Clean and gently used clothing can be recycled in Paresky in the built-in recycling containers located near the Park St. entrance. Clothing will be donated to Greylock ABC. The UPS Store in the Colonial Shopping Center will often take these materials for reuse. You can drop these items off anytime during normal business hours. If you don’t take them there, they should just be put in the trash receptacle. Gather reasonably transportable amounts in a box. Contact the Facilities Service desk at 597-2486 to arrange for pick up.